We will pick you up at the airport at the time of your arrival, to transfer you to the hotel / Riad where you will stay that night. Depending on the time of your arrival you will have time to visit the city. Dinner and overnight at the hotel. 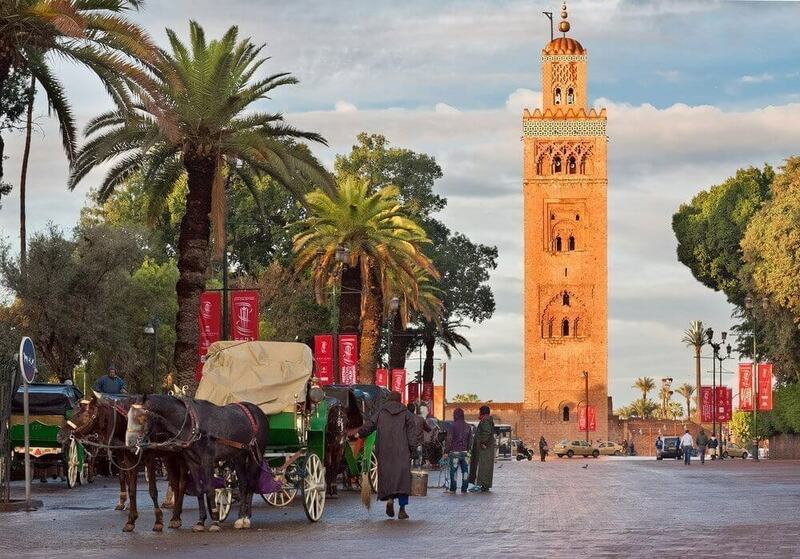 After breakfast and at the time that seems appropriate, we will pick you up at the door of your accommodation and go to the Mosque of Hassan II, which is the only mosque that can be visited in Morocco. For this visit we will give you some free time to do it on your own. After this visit we will head towards Chefchaouen, a city founded in the s. XV by the Nasrids from Granada, a faithful reflection of the lost paradise. Narrow tortuous streets of white and indigo houses, centennial mosques and murmur of water among their old stones. Dinner and accommodation in Chefchaouen. In the morning, if you did not give us time the previous day, we will go to visit Chaouen. After this visit we will go directly to Fes. Free afternoon. Dinner and overnight at a hotel in Fes. We will dedicate this day entirely to the city that is the religious and intellectual center of Morocco (guided tour in the morning). In it we will find many monuments worth knowing: Medersas (Koranic Schools): Chahrij, Bouinania Attarin. Souks, Fes El-Jedid, the Karaouine Mosque (first university in the world), among many others. You will have free afternoon, until we are at dinner time and transfer to our accommodation. After breakfast we take the Ifran road known as the Switzerland of Morocco located in the middle Atlas. We will continue our way to the desert, knowing the forest of Cedros de Azrou. We will continue passing through towns such as Khenifra and Beni - Mellal, until we reach the Cascadas de Ouzoud. that with its waterfall of more than 100m are the highest of all the North of Africa, and whose waters feed the channel of the Abib river. The name of the Cascades is given by the extensive olive crops that are near them (Berber Ouzoud, which means olive). During the descent to the river level, we will find on the way numerous souvenir shops and cafes where we can eat or have a drink. One of the most striking attractions of the waterfalls is the possibility of seeing monkeys during our walk. If we did not have time to visit the waterfalls, the day before, we will do it after breakfast. After this visit, we will head to Ouarzazate, along the way you will enjoy an impressive mountain landscape passing through mountain Berber villages such as Demnat and Ait Tamlil. Dinner and overnight at hotel in Ouarzazate. In the morning we will visit the Kasbah Taourit in Ouarzazate. After this visit we will head towards the gorges of Todra, near the town of Tinerhir, at the end of a valley of palm trees and adobe villages surrounded by steep and barren mountains. It is one of the most famous natural sights of Morocco, whose walls narrow and rise, as if they were hands about to applaud, more and more abrupt, until reaching 300 m in height. Being a paradise for lovers of climbing. On the way we will also see the palm grove of Skoura, and the valleys of Rosas and Dades. Dinner and accommodation in hotel / kasbah. After breakfast and at the time that seems appropriate, we will head to Marrakech. We will repeat a piece of the road until we reach Ouarzazate. On the way we will stop to see the panoramic view of the Kasbah of Ait Benhaddou (declared a World Heritage Site by UNESCO in 1987), a fortified enclosure within a walled town that you will surely recognize, since this citadel has been the scene of very famous films . We will cross the mountains of the high atlas for a port of 2,260m (col Tichka) we will reach Marrakech, the city of a thousand and one nights. Dinner and accommodation in hotel / riad very close to the plaza. We will have all day to soak up Marrakech, in the morning you will have an urban guide to know the city and in the afternoon you will have free time. You can visit: the mosque of La Koutubia, the Saadies tombs, the garden of La Menara or the Majorelle, the souk and at sunset we can not stop visiting the famous Jemaa el Fna square with its intense life and endless spectacles. Dinner at the food stalls in the square or at a nearby restaurant and hotel / riad accommodation. At the appropriate time, we pick you up at the door of the hotel / riad where you have stayed and we will go directly to the airport to take your flight back.